Win make up and a purse at Peacock Girl, Cosmetic Reviews. Ends 5/7. Win nail polish at The TraceFace Philes. Ends 5/15. Win a Handstamped Necklace at Pink Dandy Chatter. Ends 5/15. Win a $50 H&M Giftcard at i love mini mochi. Ends 5/16. Win a Silver Butterfly Wing Necklace at crafty little gnome. Ends 5/16. Win KleanColor Pastel Polishes at Lulla Writes. Ends 5/27. 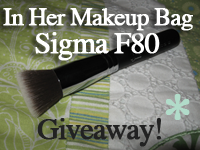 Win a Sigma E25 Brush at French Me Up. Ends 5/31. 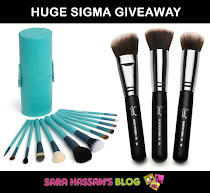 Win a Sigma E25 Brush at Ms Bubu and Her Girlyness. Ends 6/2. Win Summer Essentials at Adventures in Makeup. Ends 6/20.